Have you been keeping up with your writings? I've been asked to write a short fairy story. It's going to be awesome! I'm working on it now and it will be read aloud by candle light along with about 8 other fairy stories tonight at a writer party. 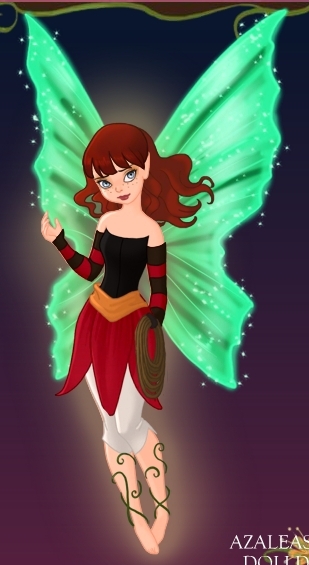 Dressing up is encourage so I'm all dressed up at as fairy myself! Here is one of favorite fairies! Can control the rarest element, fire! I'll post my story later tonight after it's been read. Wish me luck!